It’s really hard to leave the Saufley’s and their lovely oasis, but after re-energizing there for a couple of nights, I feel ready to move on. I set out at 10:00pm on my way to another trail angel’s place – Casa de Luna. In Yogi’s PCT handbook, she compares the two locations as corporate efficiency vs. hippie day care. Spot on. Two days and a short hitch later, I’m at Terry Anderson’s house. Her front yard is covered with dirty hikers, dirty couches, and empty beer cans. There is a clothing rack lined with an assortment of Hawaiian shirts next to a makeshift kitchen. Terry is sitting on the front steps of her house and seems overwhelmed by the hiker horde. Everyone is drunk and/or stoned and it looks like the party has been epic. 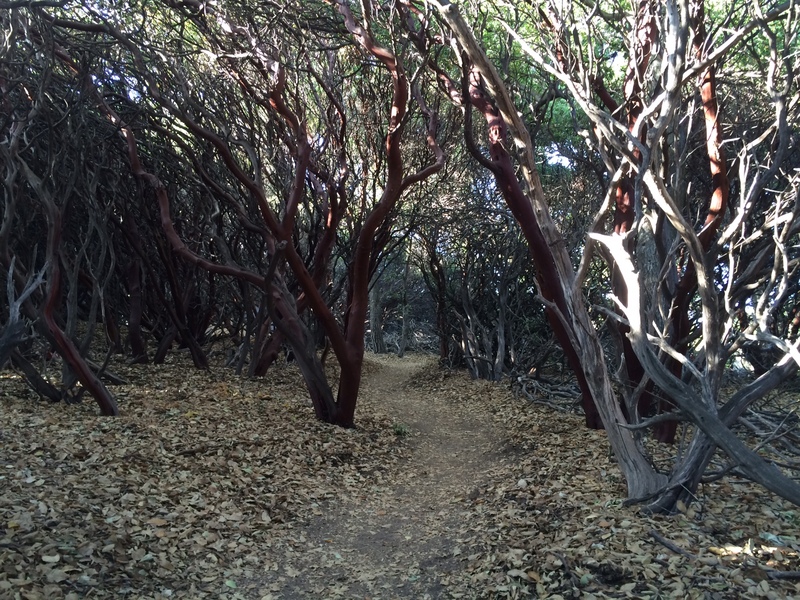 Terry tells me to head to the manzanita grove behind her house to find a camping spot. The grove is magical with little alcoves that hikers can duck into and set up camp. Rocks painted with different words likepenguin, namaste, and peanut butter mark the spots. I pitch my tent in “namaste” where, tucked into one of the trees, is a copy of I Sing the Body Electric. After a dinner of taco salad, I crawl into my manzanita hideaway and have the best night’s sleep of the entire hike.